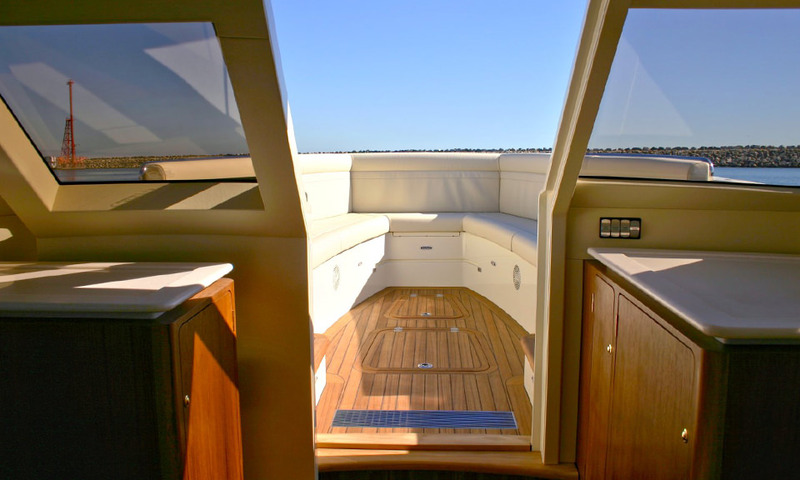 We have built many large Limos with aft helm installations. The use of space is efficient, giving all the remaining space over to the Guests. 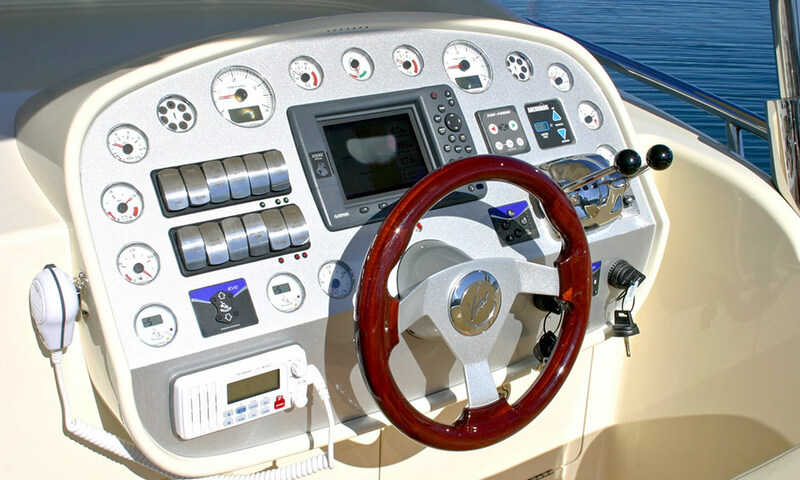 The height of the engines determines the position of the deck above and where the helm is positioned. The privacy of the guest compartment and the fwd outside seating is enhanced by the helm position. The guest compartment is accessible fwd and aft with Fwd outside seating directly accessible from guest compartment. 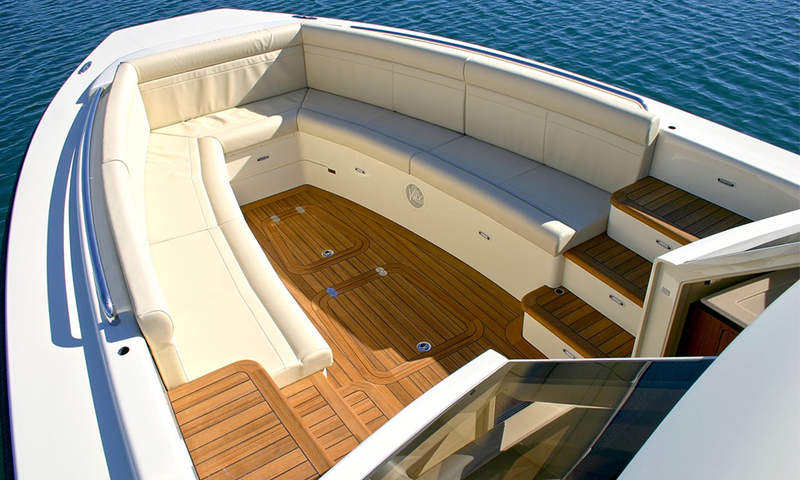 The embarking and disembarking is made safe and convenient by forward and aft access for guests. 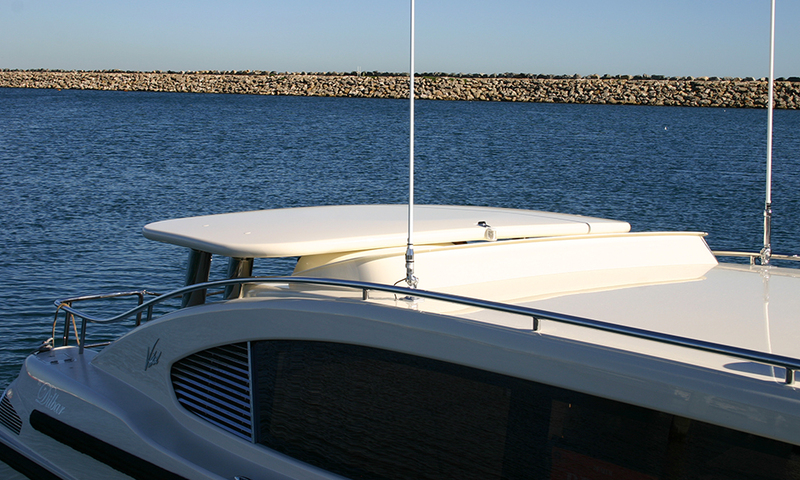 The helm canopy is retractable down to the main cabin roof level. It allows this big Tender to be stowed in its garage with limited height. 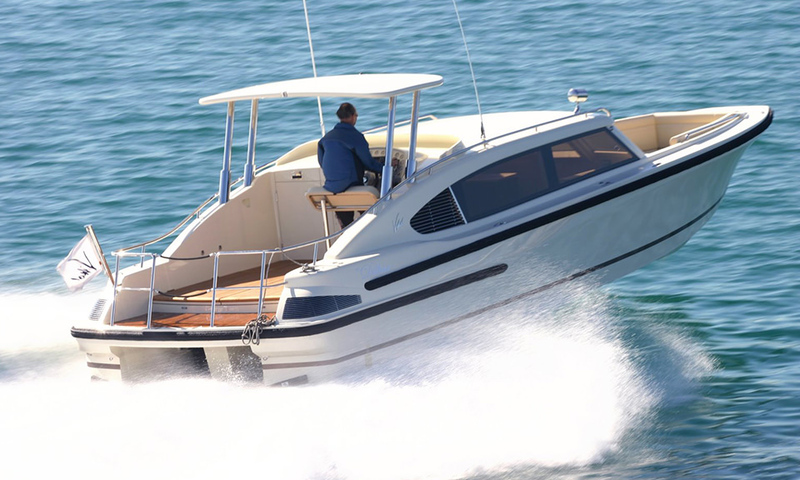 This 50 knot Limousine is powered by 2 x 370 hp engines and DPR stern drives. 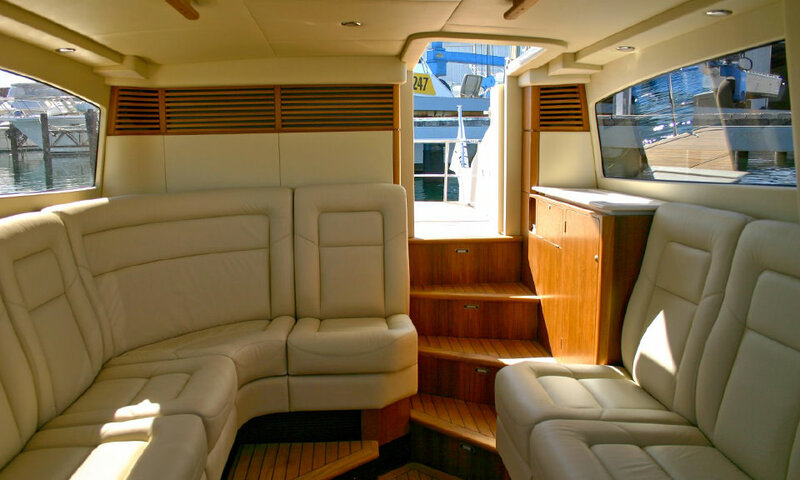 The leather interior is kept cool with 240 volt driven air conditioning from a separate diesel generator. 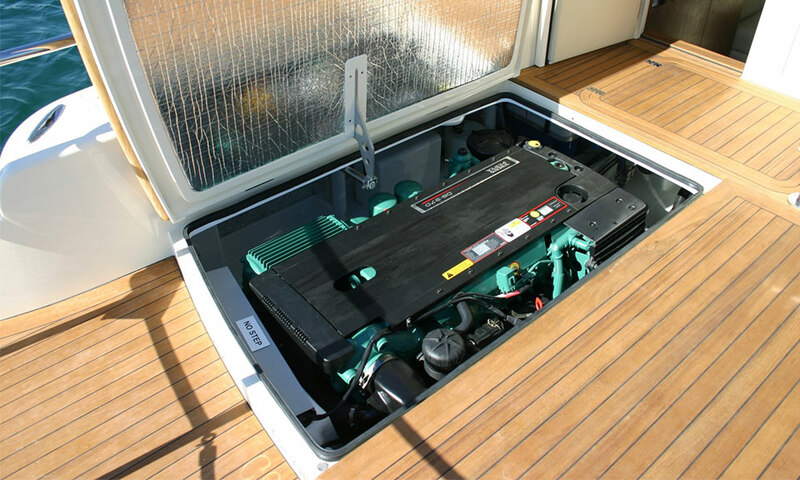 The fwd guest compartment door is a one piece slider that disappears into the cabin and allows operation at any hull speed. It can safely be left open with no risk of being caught be the wind.